It was announced during the European Contenders finals. Following the conclusion of Overwatch Contenders Europe’s second season, tournament organizers announced that season three will begin in November. European Overwatch Contenders team Eagle Gaming took home the championship trophy over Angry Titans in the grand finals event held in Paris today. Immediately following the broadcast, a message flashed across the screen: “Contenders will return in November.” The message was later tweeted from the official Overwatch Path to Pro Twitter account. Blizzard did not release further details regarding Overwatch Contenders season three. Each of the eight Overwatch Contenders regions has since concluded. 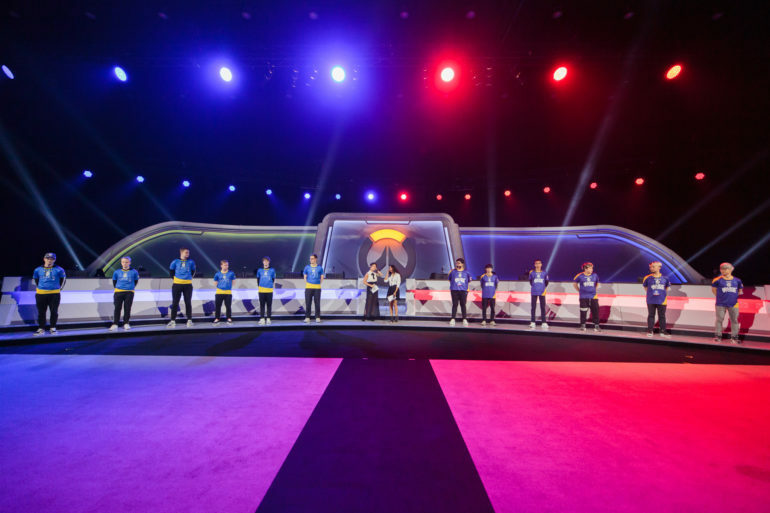 During the Contenders offseason, certain teams will have to head into the Trials tournament to qualify for the main event. Likewise, a larger pool of players will be attempting to get into Trials—and then into Contenders—through the Overwatch Open Division. It’s likely to be a busy offseason for each region’s top Contenders teams, with the Overwatch League’s player signing period now open. Expansion teams, and eventually inaugural season rosters, are looking to pull up new talent into the big league. Teams will certainly look different in season three as rosters inevitably get picked apart and restructured. Now that Contenders season two is over in all regions, players and teams are free to prepare for season three. More details on Overwatch Contenders’ third season are expected in the months leading into the announced start.